Zhengzhou Leizhan Technology Paper Machinery Co., Ltd. is one of the leading and professional paper pulp equipment manufacturer in China. Zhengzhou Leizhan Technology Paper Machinery Co., LTD. (Formerly Hongda Papermaking Machine Construction Company) is founded in the year 1980. It is a manufacturer specializing in making complete sets of waste paper pulp equipment which combines research and development with producing and sales. 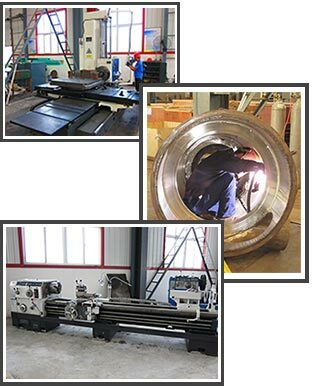 This company has processing and testing equipment like CNC cutting machine, sand blasting system, vertical and horizontal CNC lathe, planer milling machine, vertical boring machine, automatic continuous welding machine, CNC bending machine, CNC shearing machine, veneer reeling machine, 1200 tons of press machine, high speed dynamic balance correction machine, assembly test table etc. With sophisticated processing machinery and professional technical personnel, this company can produce super waste paper pulping equipment. The main series of the products are waste paper delivery, waste paper bale breaking and screening, waste paper pulping, heavy slag cleaning, screening, deinking, concentration, heat dispersion, pulping, mixing and pulp conveying etc. This company provides customers high efficiency and practical pulp making production line with low carbon environmental protection thought. At present, their products have been sold to more than twenty provinces, cities and autonomous regions in domestic region and exported to Vietnam, Israel, Malaysia, Indonesia, Cambodia and other countries. Customers mean everything! Everything we do, we do it for your benefit!